Women’s Weightlifting 101, How To Avoid Getting Too Bulky, Hormone Imbalances In Fit Females & More. Ladies (and any of you gentleman who have a lady in your life) today's podcast is for you. …then you'll love my guest Stephani Gaudreau. Steph has a formal education in biology and human physiology, 12 years of science teaching experience, holistic nutrition training, and an unabashed love of tasty Paleo food, which she writes about on her blog, Stupid Easy Paleo. She has competed in everything from endurance mountain biking to CrossFit to weightlifting. She coaches weightlifting at CrossFit Fortius in San Diego and has coached CrossFit in gyms reaching from Scotland to SoCal. Steph wrote the best-seller The Paleo Athlete: A Beginner’s Guide to Real Food for Performance in 2014, and recently published the award-winning book, The Performance Paleo Cookbook: Recipes for Eating Better, Getting Stronger & Gaining the Competitive Edge. Steph’s also recently taken to the airwaves with her chart-topping podcast, Harder to Kill Radio, where she interviews experts in fitness, nutrition and mindset about how to build unbreakable humans. Do you have questions, comments or feedback about women's weightlifting, how to avoid getting to bulky, common hormone imbalances in fit females or more? Leave your thoughts below! Hi Ben! I’ve tried making kombucha so many times, but it never tastes like the good stuff I buy (GT’s Kombucha). Can I please have your wife’s recipe? Thank you! That's because yours probably has far less sugar (which is a good thing) Here's a video of Jessa giving a demonstration on how to make Kombucha: https://bengreenfieldfitness.com/podcast/suppleme… If you'd like access to all of Jessa's recipes and more, you should join the Inner Circle. Thank you for making women a focus in this podcast. However, one aspect of women getting older and worrying about their bodies is that all our less than good habits over the years catch up to us. Our bodies have less tolerance for things that we could do ten years earlier. 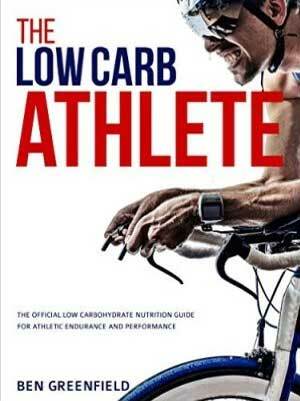 Basically, we just have to work a lot harder to not be overtaken with protein catabolism of our legs and the laying down of extra fat around our organs (abdomen); making us look like a golfball on a tee. It really hits hard in our 50's; we aren't trying to look like a 20 year old fitness model, we just don't want to look like the smokers and drinkers of our previous generation that looked half dead at the age of 50 and were so unhealthy at the age of 60. So yes, we are willing to work very hard to find something that works for our bodies. That is why you get so many questions, we are really just fighting for our health. Love this podcast and a fan of Steph and her cookbooks and weight lifting, but for women over 40 don’t necessarily knock the pink dumbbells. I really enjoyed this interview as well as the comments on women, aging, and allowing ourselves to get a little more fat as we age. I have to say, as a 50+ woman living in this society where we are constantly judged for our outward appearance, it’s really difficult. I have kept myself fit by working out, eating “healthy”, etc until a year and a half ago I found out I was in the exhaustive stage of adrenal dysfunction (HPA Axis Dysfunction). I did Paleo, IFing, ketogenic diet, all trying to obtain this perfect ideal of how I thought I should look. Instead, I am a metabolic mess, and my hormones are so dis-regulated. I have returned to a more balanced way of eating, working out, and looking at my body. I eat more carbs, allow myself legumes and some grains. My body is getting strong again, my cortisol pattern is becoming more functional and regulated. My DHEA is within normal range again. I don’t want to look like Aunt Bea on The Andy Griffith Show but I think it’s ok that as we age, we allow ourselves some room to “fill out.” Who determined these standards for female bodies anyway? Thank you, Steph (and Ben) for your podcast and words of wisdom! I loved this interview so much; I've listened to it twice. It hit close to home being a 40 something year old female who constantly strives for that perfect body. A question on the overtraining that you mention though… I tried cross fit and really did not love it. I felt pretty beat up afterwards and seemed to be gaining fat, which I assume was due to increasing cortisol levels. After that, I went back to my preferred method of weightlifting, which does consist of about 5 days of heavy lifting (heavy being subjective, I'm not sure it's others’ idea of heavy, but heavy for me). Anyway, now I am concerned about overtraining as I also include a few days of HIIT and endurance workouts throughout the week. I feel fine with this level of effort and listen to my body when I really need to rest; I don't feel as if I am overdoing it like I did with cross fit, but I also don't want to get myself in trouble hormonally by overtraining. Any tips on finding that sweet spot, obviously it's different for each individual. Thanks again for such a candid and thoughtful interview, definitely one of my favorites Ben! Steph was an amazing podcast guest. A lot of wisdom shared, particularly with the misconception of lower weight, high rep workouts for toning.